In 2015, ACRL adopted the Framework for Information Literacy in Higher Education focusing on six threshold concepts to serve as "passageways or portals to enlarged understanding or ways of thinking and practicing within that discipline." 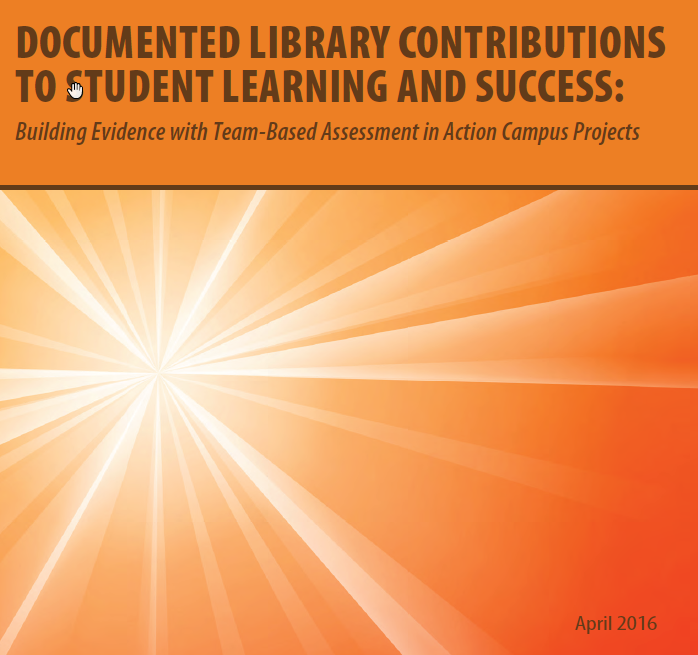 Documented Library Contributions to Student Learning and Success. Academic Library Impact builds on ACRL’s 2010 Value of Academic Libraries: A Comprehensive Research Review and Report and the results of the subsequent Assessment in Action program. It demonstrates how libraries are now measuring library contributions to student learning and success, and recommends where more research is needed in areas critical to the higher education sector such as accreditation, student retention, and academic achievement. “Academic Library Impact captures the incredible strides made by the profession in assessing and demonstrating the contributions of academic libraries to the academy, and creates a path for moving us into the future via new research avenues,” says ACRL Executive Director Mary Ellen K. Davis. Inside Higher Education summary of Documented Library Contributions to Student Learning and Success. Libraries play an important role in helping students survive their first year at college. Students who received some kind of instruction from librarians in their first year do better in their courses than those who don’t. Students who use libraries tend to stay in college and get better grades than those who don’t. Students benefited when libraries partnered with other offices that support students such as writing centers and academic enrichment programs. Library information literacy programs can positively affect the goals of general education learning outcomes such as critical thinking, problem solving and civic engagement. Libraries were able to demonstrate a connection between library instruction and retention, engagement, and overall academic experience.